D-423, Red Color, Hindu Cards. 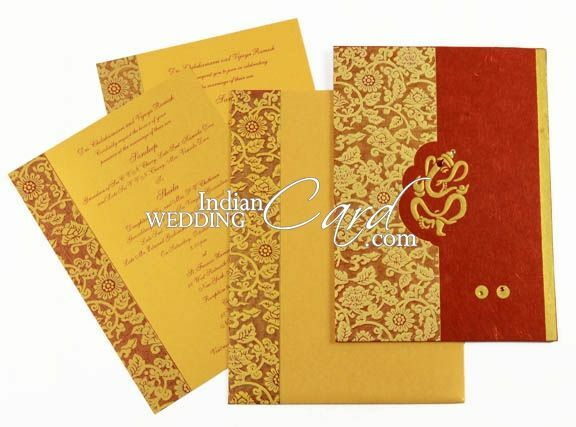 The front of the card has broad border composition in cream and gold combination that shows embossed floral motifs over a golden striped background. 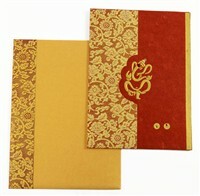 Complimenting it is the embossed Ganesh ji image in gold having kundan highlighting. 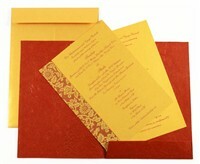 The inserts have similar border design as the front’s composition and so does the envelope. Silk screen printing in deep red color matching to card front.